Why do eggs have different colours? 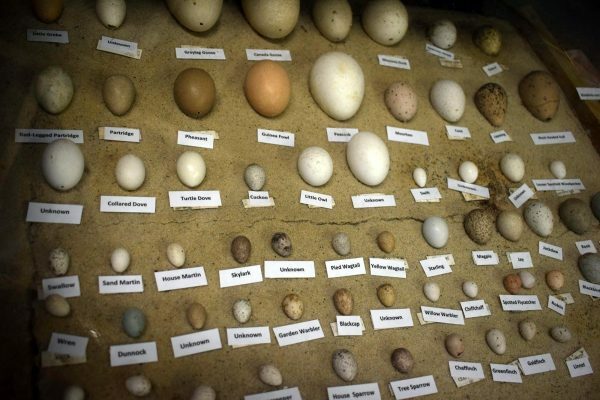 Our egg collection at Sacrewell shows that eggs come in a wide variety sizes and colours. This can be because of the size of the bird, their nesting behaviour and the environment that they naturally live in. You might expect, therefore, that all farmed chickens would lay a similar colour of egg, but this is not the case. Different breeds of chicken lay distinctly different colours of egg, and even within an individual breed there can be variation in the shade. Hybrid chickens are not pure bred and so it can be difficult to predict which colour their eggs might be. One clue can be found by looking inside an individual hen’s ears. 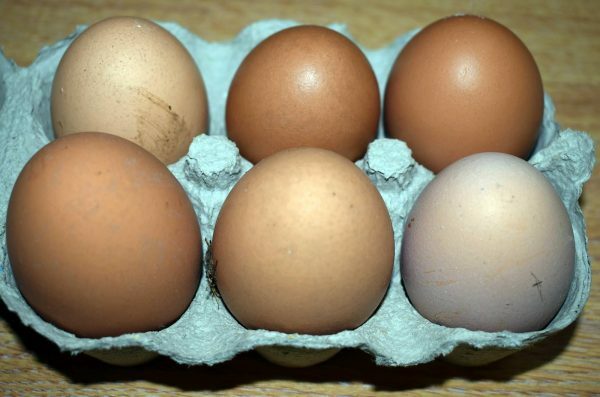 Hens with pale ears lay pale eggs, whilst hens with dark ears lay darker eggs. The colour of a hen’s feathers does not relate to the colour of their eggs. Changes in diet and stress levels can cause one chicken to produce eggs which are different shades on different days, but this would only be a small change in shade rather than a pronounced switch between different colours.